I think I've been working in the Jewish world too long. Otherwise, how would I know that there are seven Shabbatot between Tishah b'Av and Rosh HaShanah? And, how would I know that once we hit that first Shabbat of Consolation, the High Holy Days are as good as here? 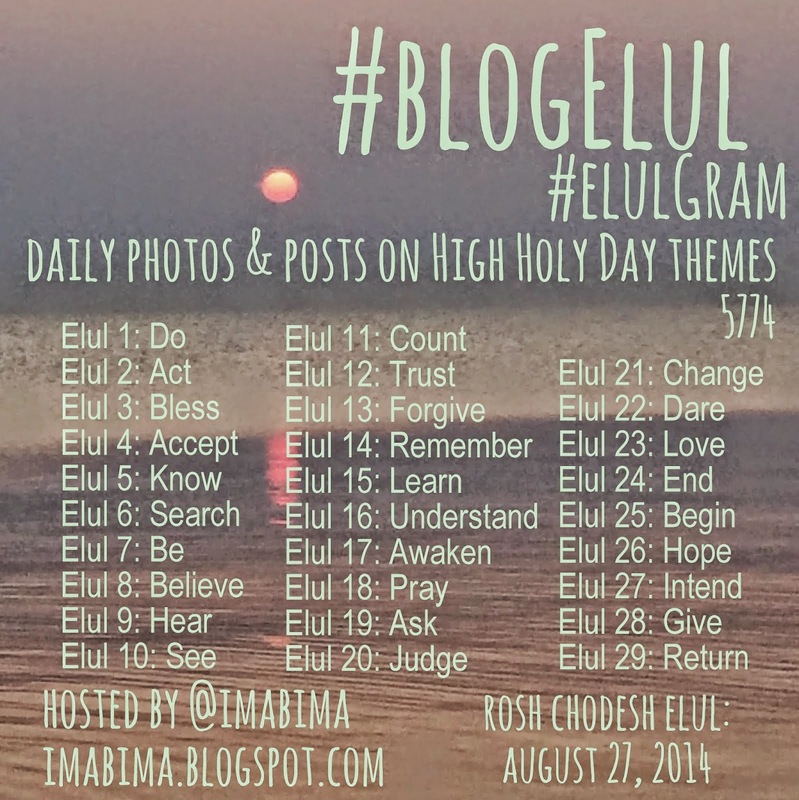 The surest sign, however, that the High Holy Days are on their way is the appearance of Ima on the Bima's annual #BlogElul topics -- one for each day of the month that precedes Rosh HaShanah. It is during Elul that we Jews conduct a spiritual reckoning of our behaviors and actions of the past year -- the moral equivalent of cleaning the chametz from our couches and cars just before Passover -- and begin to think ahead to the coming year. Thanks to the Ima and her #BlogElul themes for 5774, I truly can begin to reflect upon the year that's drawing to a close, ponder the potential of the one that has yet to arrive, and grapple with the ways that -- individually and collectively -- we can make this one the best yet, for ourselves and for the world. Stay tuned for the first of this year's #BlogElul post, which will make its appearance here on Wednesday, August 27.